Hello lovely readers! 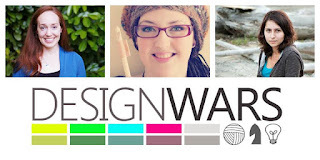 I have something fabulous to share with you, I have been chosen as a finalist for a chance to compete in the Design Wars competition! For those of you new to this, it is a friendly design competition among some of the top designers in the crochet world. I am up against the Marinke Slump from A Creative Being and Tanya Beliak from Crocheterie. They are both super talented artists who I have followed for a long time now. Marinke makes beautiful mandalas on a weekly basis that are so lovely. I follow her blog and have fallen in love with her color choices. And Tanya? Fuggedaboutit. She designs amazing blankets with fabulous gradient colors. So pretty. This is some very stiff competition. This is why I need your help!! I am asking you to help me pull a rabbit out of a hat and head over to Design Wars and vote for me. To vote for me, CLICK HERE and you'll see the poll. You can vote once per day until the vote closes on June 13, 2013. Have a wonderful weekend.